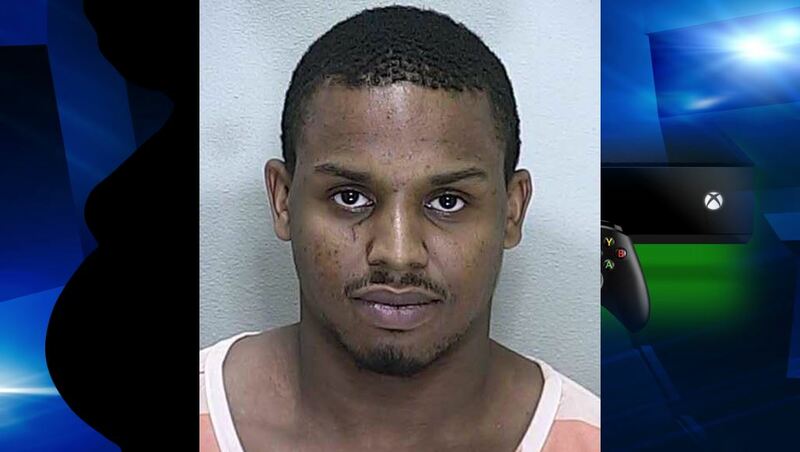 Summerfield, Florida — A Summerfield man remained behind bars Monday after he assaulted his pregnant girlfriend over a video game console. On Saturday, July 18, Marion County Sheriff’s Deputy Vernon Reese responded to The Villages Regional Hospital and met with the assault victim. The victim told the deputy that on July 17, her boyfriend, later identified as Samuel A. Glover, 24, had assaulted her because she could not correct a problem with Glover’s XBOX game console. According to reports, Glover demanded that his girlfriend fix the XBOX, and when she could not, he became angry. Deputy Reese reported that Glover “literally physically threw the victim out of the house and down two steps.” This caused the victim to sustain several abrasions about her body. Glover then grabbed the victim and placed her in a chokehold, which made it difficult for her to breathe. The victim told the deputy that she was able to grab Glover’s finger and bend it back, which caused him to let go of her neck. Glover then left the residence and the victim called her mother to pick her up. According to reports, when Glover found out that his girlfriend had left, he showed up where she was staying and demanded that she come back home. However, the girlfriend refused. Glover then threatened to “shoot up” the house where the victim was at if she didn’t do what he said. The victim told the deputy that she got in the car with Glover out of fear. She also told the deputy that Glover has previously threatened to kill her on multiple occasions. The victim said that after Glover hit her in the mouth her lips began to swell. Once they were home, Glover went to use the restroom. The victim said she then called her mother to come get her again. When the victim’s mother pulled into the driveway, the victim ran out of the house, jumped into the car, and locked the door. Glover chased after her and attempted to open the car door, but was unsuccessful. According to reports, the mother then drove off and Glover gave chase in his pickup truck. The victim stated that at one point during the chase, Glover hit her mother’s car with his truck in an attempt to run her off the road. When Deputy Reese questioned Glover, he stated that the argument was “pretty much verbal only.” He also stated that his girlfriend was jealous because he had been getting text messages from ex-girlfriends. Glover stated that a vehicle pulled up in his front yard and his girlfriend ran out screaming “Help Me! Help Me!” He said the vehicle then drove off. He denied following it. Glover could not explain the injuries that the victim had sustained. As Glover was being placed in handcuffs, he told the deputy that his girlfriend had stabbed him in the chest. Those accusations later proved to be false, following a medical examination. Deputy Reese reported that he later received a call from the victim, who stated that she had changed her mind and did not want to press charges. She told the deputy that she feared for her life and the life of her family members. The victim was then provided with instructions on how to file an injunction. He has previous charges for Grand Theft, Petit Theft, Burglary, Flee and Elude, and Possession of Marijuana. Glover, who was out on bond following a May 5 arrest, was charged with Aggravated Battery on a Pregnant Person. He is currently being held on $22,500 bond. Glover bonded out of jail just before midnight on July 20.